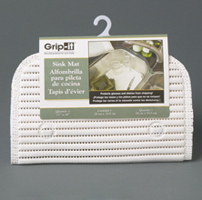 Grip-it Sink Mat prevents glasses and dishes from chipping and cracking while protecting sink basin from scratches and nicks. Uniquely designed to allow water to drain quickly. 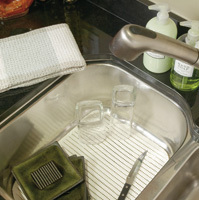 Antimicrobial to resist mold, bacteria, and odor.